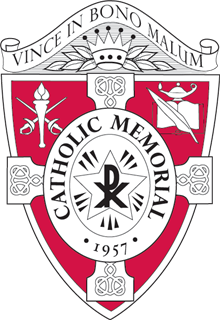 West Roxbury, Mass.— The TD Garden Sports Museum recognized 20 Catholic Memorial School students, including second place award recipients Conor Lawler and Zachary Smart, for their award-winning essays in the 2019 Will McDonough Writing Contest last month. Of the 10 awards available at the sophomore level, CM sophomores took home eight. No other school received more than five honors in a single category according to The Sports Museum website. “I thought it was a good idea to write a story with a solid meaning behind it,” said Connor, a seventh grader from West Roxbury who wrote his paper about the importance of sportsmanship. Meanwhile, Zachary, a sophomore from Franklin, wrote about how his sister plays in the Franklin youth baseball league as the league’s only female player. He described himself as “surprised and excited” when he first learned of his second place honor. Every year, students from across New England in Grades 4-12 enter the contest to showcase their writing skills before a panel of Boston Globe sports editors. The editors award contestants with first place, second place, and honorable mention honors at each grade level. The CM middle school and high school English Departments build the contest into their 7th, 8th, and 9th grade curriculum. Faculty members go over each of the contest’s writing prompts with their students so that they understand the requirements behind a narrative or persuasive paper. Students then spend time brainstorming, peer-editing, and creating drafts in class before submitting final papers. “We think friendly competition is a great way to increase student engagement,” said Ms. Caitlin Corsano, an English teacher at CM. Eight CM middle school students earned honorable mention this year. 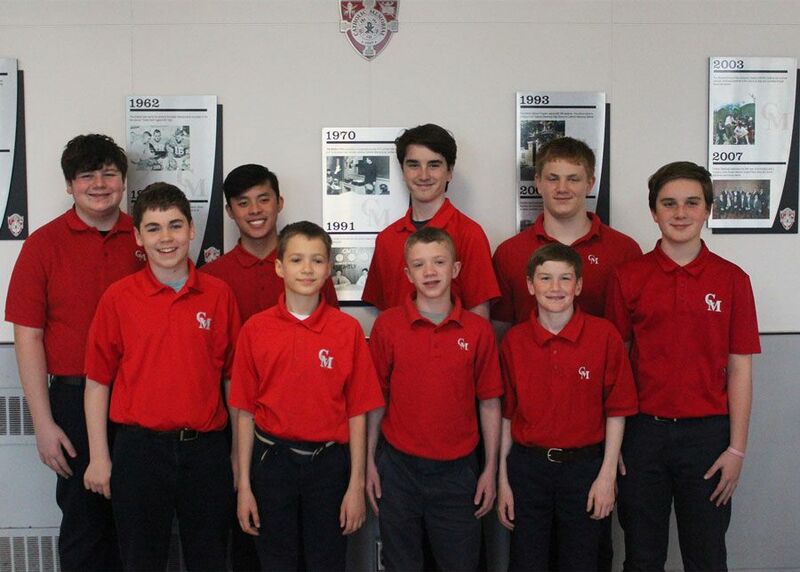 These students included 7th graders Timothy Elrod, Nathan Walsh, and Alexander Kryukov along with 8th graders John Fitzgerald, Nathaniel Berlucchi, Joe Cutting, Anthony Lai, and William Masferrer. At the high school level, 10 CM freshmen and sophomores received this same distinction. Freshmen honorable mention recipients included Joseph Jolley, Jack Hood, Sean Fay, and Brendan Egan. Sophomore recipients included Ben Dashe, Anthony Caruso, Ben Kimball, Nick Olwell, Ryan Horrigan, and Liam Borza. This year’s contest gave students the option to create a fiction or non-fiction essay on sports. It also gave them the option to answer one of four writing prompts about either a great moment in Boston sports history, an influential figure in sports, an individual or team that exemplified sportsmanship, or whether eSports, also known as video gaming, deserves the distinction of an athletic sport. The Will McDonough Exhibit at The TD Garden Sports Museum features first-place essays from the contest every year. Second-place recipients receive their own Kindle reading device.